Our Spring 2018 A Cappella Show is this April 14th, come for a great musical performance and fun comedy skits, featuring The Smithereens from Smith College! This semester's show theme is Survivor, with each of the contestants out to win fully paid free tuition! Who will survive? And who will be voted off campus? We were graciously given the awards for Best Arrangement and First Place in the 2018 Open Circuit A Cappella competition! Thank you to Sound Logic for hosting and congrats to all of the other groups that performed as well! Partial Science - PC's Fall Show! Join Partial Credit and Pitch Please (UAlbany) on Saturday, December 2nd at 8pm in the Chapel and Cultural Center for a night of science and song! Tickets are $5 presale, $6 at the door. 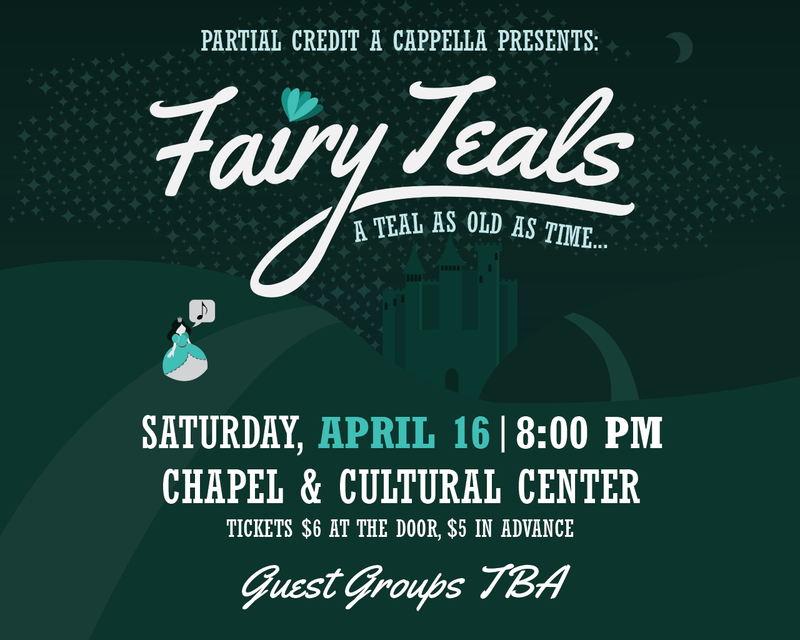 Join Partial Credit, Simple Harmonic Motion (WPI), and Stay Tuned (SUNY Potsdam) this Saturday at 8:30pm in the Chapel and Cultural Center for a night of singing and adventuring! Tickets are $5 presale, $6 at the door. 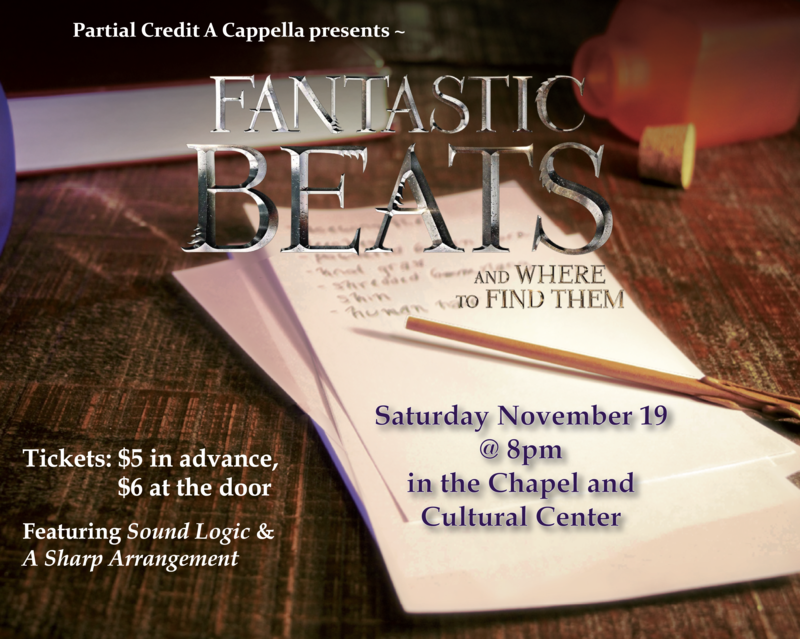 Fantastic Beats & Where to Find Them: PC's Fall 2016 Show! Join Partial Credit and special guests, WPI's Sound Logic, for a night of magic, melodies, and mayhem this Saturday, 8PM at the Chapel + Cultural Center. Tickets are $6, $5 in advance! 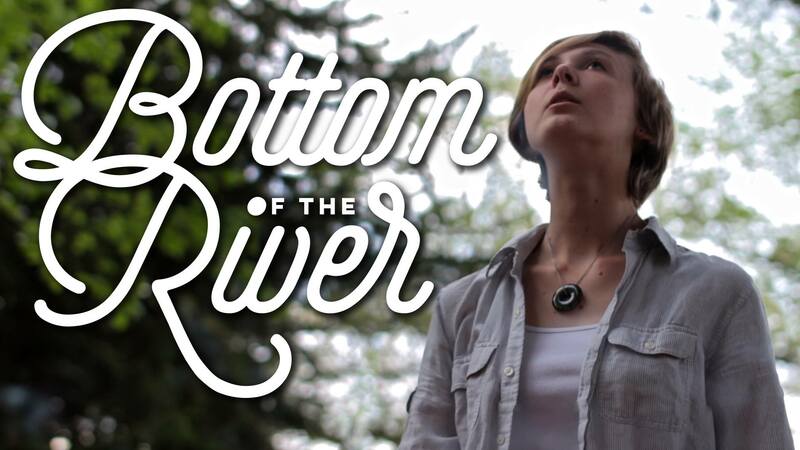 We are pleased to announce the release of our music video - Bottom of the River (opb. Delta Rae). This is a project we have worked so hard on throughout the semester and into the summer, and we are extremely proud of it. PC's Spring Show is on April 16th at 8PM in the C+CC! Join us for a night of fun and magic, filled with fairytale characters, a mystical plot and many musical interludes. Tickets are $6 at the door, $5 in advance. Stay tuned for ticket sale locations! Guest groups to be announced! Partial Credit is holding auditions for the spring semester! Come prepped with a chorus and verse of a song that suits your voice, and be ready to run through some vocal exercises! Please contact macnaa[at]rpi.edu to schedule an audition slot. Walk-ins are also welcome. We are happy to announce that next week we will be holding auditions! Please prepare a chorus and a verse of a song that suits your voice, and be ready to run through some vocal exercises! 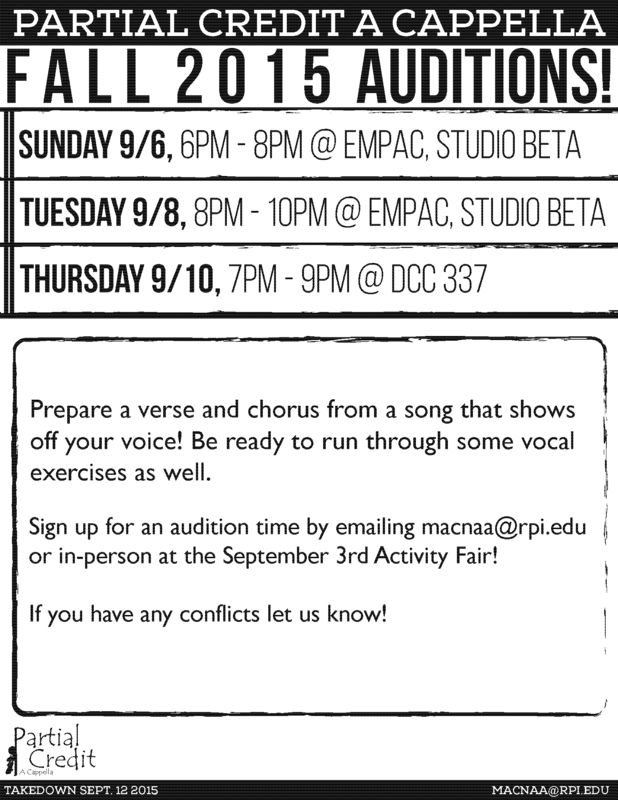 Schedule an audition time by emailing macnaa[AT]rpi.edu or in-person at the Activities Fair! As always, walk-ins are welcome. Teal Or No Teal, PC's Spring Show! It's three days until our Spring Show, Teal Or No Teal and we're getting pumped! Along for the ride will be the WPI Audiophiles, the Smith College Smiffenpoofs and the Union College Dutch Pipers - it's going to be a fantastic show! Tickets are being sold all this week in the DCC (in the Union on Wednesday) for a presale price of $5. Tickets will be $6 at the door. See you on Friday, 8PM in the C+CC! We can't wait! I'm the Fire in Your Eye + Announcement! We've just released our rendition of CHVRCHES' Night Sky, Recover, and Lungs on our Soundcloud page! You can give it a listen right here! We're also thrilled to announce that our Spring Show, Teal Or No Teal, will be held at 8PM on April 24th at the Chapel + Cultural Center! We can't wait to see you there! Hello all! We hope that you're having a wonderful Spring Break - it's been a long time since our last update and we just wanted to let you know what has been going on this past semester! After a relaxing Winter Break, we held our Spring Auditions and are ecstatic to welcome three new members into our group: Lauryn Curtis, Kara Jimcosky and Evan Walters! Months of practice led up to our performance at the International Championship of Collegiate A Cappella, where we competed against nine other a cappella groups from across the region (including RPI's very own The Rusty Pipes). There, we performed our renditions of Sweet Disposition by The Temper Trap, God Only Knows by The Beach Boys and 1957 by Milo Greene; while we did not advance to the semifinals, our musical director Maggie Borkowski was awarded "Outstanding Arrangement" for God Only Knows! Congratulations Maggie! Saturday, March 7 was a day well spent as we journeyed to Providence to compete in the first ever International Championship of Collegiate Dubstep A Cappella, hosted by Brown Wubappella! We went through a crash course in arranging dubstep music before drawing three songs to use for a dubstep arrangement to be performed that night. We are proud to announce that we took home gold with our arrangement of Let It Go from Frozen and Problem by Ariana Grande! Thanks for reading! We have a bunch of surprises planned for after Spring Break - you can follow our facebook and instagram and keep checking back here for more! Partial Credit Thanksgiving: The First A Cappella Show! It's time for Partial Credit's fall show! We're going to take you back in time and tell you the story of how the first a cappella show emerged while celebrating Thanksgiving. Joining us for the show will be Ramapo College's 4GotteN SuitCase and Hamilton College's Duelly Noted. We'll be performing at the Chapel and Cultural Center on Friday, November 14th at 8:00pm. Tickets are pay what you want (with a suggested donation of $5). Tickets are on sale all week in the DCC except on Wednesday, when you can find us in the Union! Want more info? Check out the Facebook Event! We're holding auditions this week! They'll be on Tuesday the 28th in DCC 318 from 8:30 pm to 10:30 pm and on Thursday the 30th in EMPAC Studio Beta from 8:30 pm to 10:30 pm. Contact us to schedule an audition slot. See the auditions page for more information on what to prepare. We're working to redesign our website to improve its appearance and provide more up-to-date information. If something is incorrect or broken, let us know.